His practice focuses on civil and commercial litigation, domestic and international arbitration and in bankruptcy proceedings (reorganization and liquidation). Agrofoods Central Valley Chile on a reorganization proceeding involving debt of over USD65 million that concluded with a reorganization agreement approved by a 100% of its creditors, among them Banco de Chile, Banco Bice, Rabofinance, Banco de Crédito e Inversiones and Banco Security, under a USD40 million syndicated loan, other local banks and multiple suppliers. The Ministry of Transportation and Telecommunications on the insolvency restructuring processes related to three concessionaries of Transantiago, the public transportation system of the Santiago Metropolitan area. A Japanese multinational before the International Court of Arbitration of the International Chamber of Commerce (ICC), on a lawsuit for breach of contract against a former Chilean distributor. SecureAlert before the Chilean Public Procurement Court challenging the public tender for the award of a USD70 million contract. A water utility company on an arbitration against a state concession, demanding recognition and reimbursement of USD3.2 million (UF 60,000) in investments made for the benefit of the concession. A foreign investment fund on a claim for USD2 million in liquidated damages. Several companies on construction litigation and claims, related to projects of diverse kind. Several companies on unfair competition lawsuits before ordinary courts. Recognized in Bankruptcy and Restructuring, Chambers Latin America. Professor of Civil Law, Universidad Diego Portales (since 2018). Teaching Assistant of Civil Law, Universidad de Chile (since 2017). Teaching Assistant of Civil Law, Universidad Diego Portales (2012-2018). 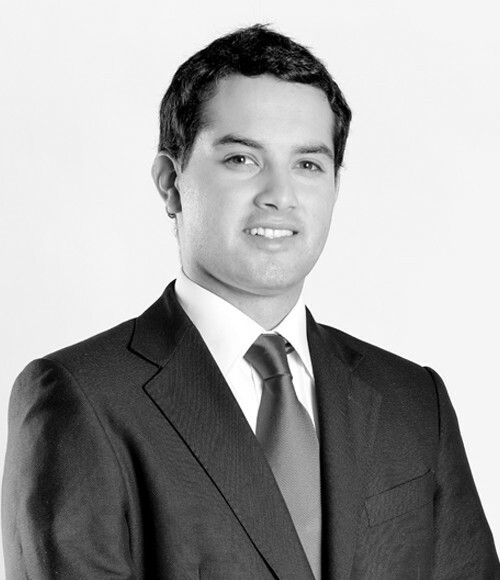 Member of the Executive Committee of the Chilean Institute of Procedural Law (2013-2016). Member of the ICC Young Arbitration Forum (ICC YAF). Law, Universidad Diego Portales (graduated 1st place of his class promotion). Exchange Student, Universidad de Salamanca, Spain (2011).